Some days ideas just won’t come. 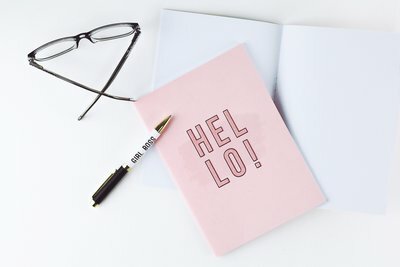 Whether it’s designing a new line for your collection, a new concept for lead generation, or an improvement to your existing campaigns – sometimes creative ideas can allude you, and soon that empty space begins filling up with negativity and doubt, pushing your creative ideas further and further away. Today I’m sharing my proven tips for reigniting your creativity, getting you back to feeling inspired ASAP! Are you ready to shake it off and ditch the negative mental loop? As much as I love technology, they can sometimes be our biggest block for creative ideas. Beyond all the ongoing distractions and lure of emails and social media, staring at a screen for hours on end can be the worst thing you can do for your creative vibes. If I’m feeling stuck I take a walk outside, play with my beautiful children or play with our family dog. Putting a mental pause on the negativity that begins to surface as ideas escape you is key to reigniting your inspiration. Take a little break or a long break if you need one. Know that you will come back feeling fresher and full of new ideas. It’s okay to walk away from time to time. You may dream up 100 ideas and feel frustrated because the BEST idea isn’t leaping out at you. Please consider this… All your ideas can be brilliant. Part of the creative process is trying many different ideas to find the idea that sticks or sparks a bigger idea. I like to think of ideas as a three-dimensional cube. Each side of the cube is a different way of seeing that idea and each side is a new opportunity to explore it from a slightly different perspective. Visualise your idea you then in your mind’s eye, see if you can look at it from different angles. Consider that new angle. What comes up for you? Whenever I do this visualisation technique, it only takes a few minutes for something to spark my creativity and I’m off and running again. If your mind is full of negativity you feel like there is no chance of any creative ideas emerging it’s time to stop that negative chatter with a sense of achievement by completing something small. Pick a chore around the home, start sorting the paperwork in your office, or begin drafting that newsletter you have been putting off. Upload new images to your website – whatever you can do right now, do it! By completing a small project or task you disrupt the monkey brain that is chattering away in your mind with negativity. I find this tactic is often enough of a disruption to allow a new idea to spring forth. Give it ago! I’m a big believer that the most creativity comes from constraint. Having unlimited time or resources can create a sense of pressure or overwhelm that really does not help the creative process. A constraint might be money or resources, but if neither of these applies to you, leverage your time. Set yourself a deadline and stick to it! ​​Working within a time constraint will reduce overwhelm and remove creative blocks. Need tips on ​​how to manage your time – check out my post here. Another proven tactic for reducing negative chatter and reigniting your creative spark is to set aside 15 minutes to sit with your favourite journal, or a sheet of paper, and just write! Get it all out of your head. Write until you feel a sense of mental space. And then write some morning. Julia Cameron describes this technique in her book “The Artists Way.” Julia encourages her readers to set aside time every morning to write three pages by hand every day to empty the mind. By getting all the mental chatter and thoughts out of our head and onto paper, we create space for new ideas to come. Creative blocks and negative self-talk can stop our brilliant ideas coming forth before we have even started – but armed with these tactics you can put the negative chatter on mute and reignite your creativity quickly and effectively. One final tip. Creativity is a process and one that for me at least, always changes. If one technique doesn’t work for you, try a different one. Find what works for you and your creative flow. Above all, don’t be too hard on yourself.